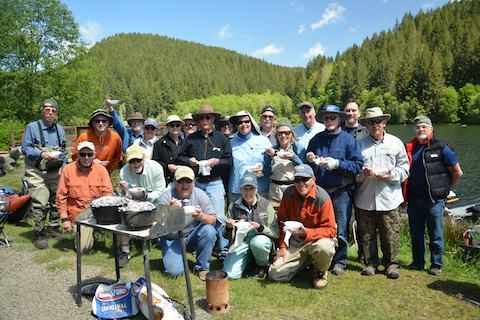 To complete your application send a check to Cascade Family Fly Fishers, P.O. Box 70303, Springfield, OR 97475 or pay dues at the next meeting. How do you prefer to pay your dues by check or cash? If yes, when does your FFF membership expire:? Please complete the following information, even if you are a current member IF this information has changed. The following information is requested in order to maintain a database of our members' knowledge and experience which may be of help in club activities. Please be as complete as possible. Thank You. What is your experience with fly fishing? As a fly CASTER, what is your level of expertise? Do you tie your own flies? Club members are asked to consider serving on at least one committee of their choice to assist the committee chairperson when required. You can select up to 3 committee preferences. Do you authorize the printing of your contact information in the club directory? The CFF directory is not used for advertising or posted online. Don't forget to complete a LIABILITY WAIVER FORM and either send it to Cascade Family Fly Fishers, P.O. Box 70303, Springfield, OR 97475, or bring it to the next meeting. Click HERE to submit your information IF PAYING BY CHECK OR CASH. Click the button below to submit your information if paying online by PayPal or Credit Card. You will be taken to a Credit Card option after seeing PayPal option.